Myanmar ranks as the ‘most at risk’ country in Asia and the Pacific according to the InfoRM Risk Model. The country is exposed to a wide range of natural hazards, triggering different types of small to large-scale disasters across its territory. 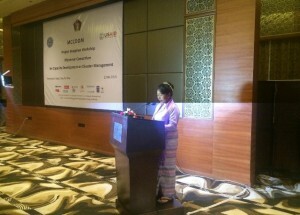 Myanmar is one of the 168 countries that endorsed and proactively implemented the Hyogo Framework for Action (HFA) aiming at ‘substantial reduction of disaster losses, in lives and in the social, economic and environmental assets of communities and countries’, and is committed to implement the Sendai Framework for Action (2015-2030). As a member of Association of Southeast Asian Nations (ASEAN), Myanmar is signatory to the ASEAN Agreement on Disaster Management and Emergency Response (AADMER), which came into force in 2009 . Cyclone Nargis and its impacts in 2008 increased the Government’s awareness of the need to plan and prepare for future disasters, and adopt a comprehensive risk reduction strategy, which led to the formulation of the Myanmar Action Plan for DRR (MAPDRR), endorsed in 2012. Among other key elements, MAPDRR recognizes the need to enhance the capacities for DRR at all levels, and identifies a range of activities related to capacity development, including the establishment of a National Disaster Management Training Center. 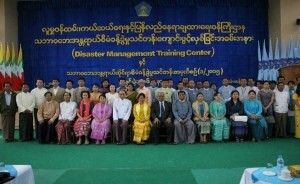 In June 2013, the Relief and Resettlement Department (RRD), under the Ministry of Social Welfare, Relief and Resettlement (MSWRR) organized a Consultation Workshop on ‘Developing Capacity Building Strategy through the Establishment of Disaster Management Training Centre’, and presented its plan towards establishing the DMTC. 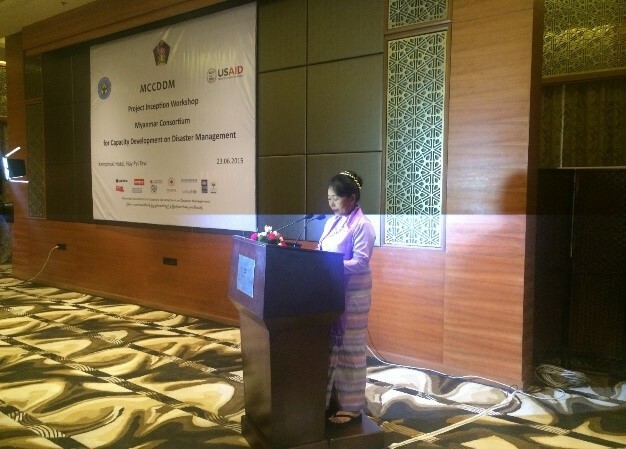 The Myanmar Consortium for Capacity Development on Disaster Management (MCCDDM) aims to develop disaster management capacity of a wide range of stakeholders through sustainable partnerships, to enhance safer and resilient communities in Myanmar. The consortium’s primary focus is to support the RRD in establishing and successfully managing the training center, with funding support from the United State Agency for International Development (USAID)/ Office for Foreign Disaster Assistance (OFDA). MCCDDM comprises of six implementing partners, four technical partners and one local partner. To achieve its objectives, the consortium combines core technical expertise in DRR with the ability to effectively address cross-cutting issues through diverse areas of competencies. Develop disaster management capacity of a wide range of stakeholders through sustainable partnerships, to enhance safer and resilient communities in Myanmar. (i) Act as the technical advisory body to Sub-Committees of National Disaster Preparedness Central Committee (ii) Collaborate with similar institutions in ASEAN and other countries for research and development. 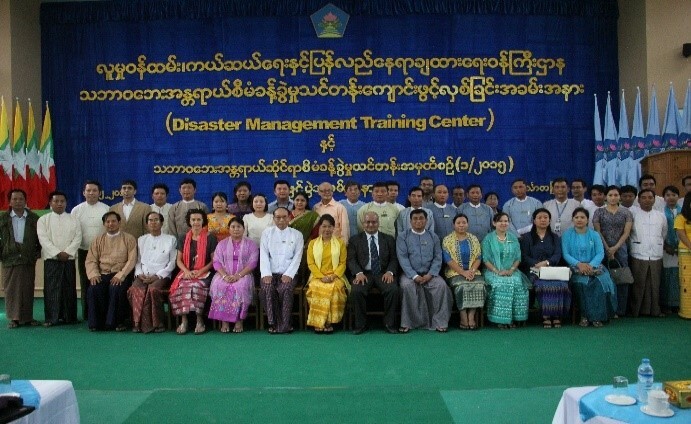 Developed new curriculum for 11 days Basic Disaster Management Course and supported DMTC in conducting 2 batches of Basic Disaster Management Course. MCCDDM support include curriculum development, providing training kits for participants and facilitator manual.